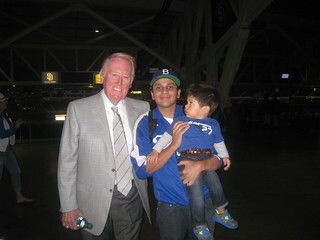 It was Dodgerfest last week at Frank & Son. I was planning on attending and get my stuff signed but I got sick. My lucky day. I kinda lost my voice and when I woke up Saturday morning, I couldn't talk. This has never happened to me before. I should be the next Bubble Boy. I drove to Frank & Son and dropped off my Dodger Stadium seat and a 16x20 picture of Dusty Baker, Steve Garvey, Reggie Smith and Ron Cey. Even though I couldn't stay, I was happy that they were able to get it done for me. I've met these guys before and there was no need to stay and get more sick. 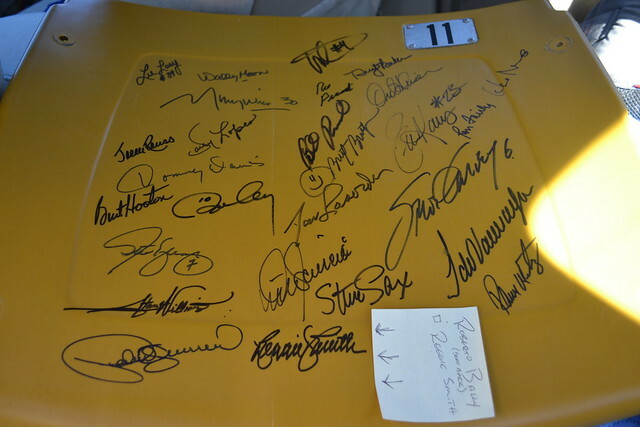 I picked them up this morning since I needed the seat for Don Sutton (I'll blog about that later). Here's the seat. 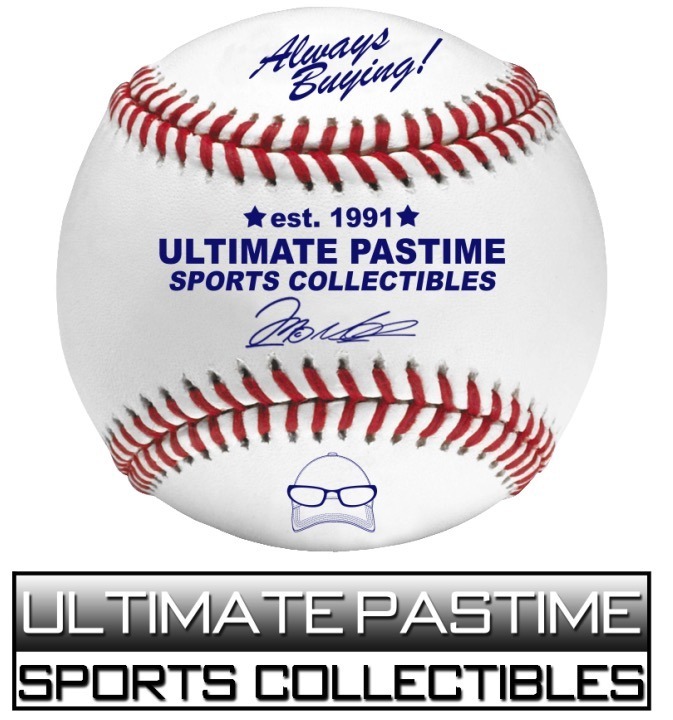 I only needed Reggie Smith. 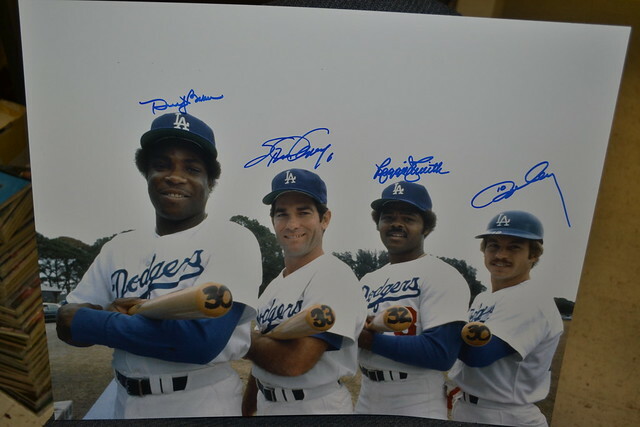 And here's the great picture of the 4 guys that hit 30 homers in 1977. It was the first team in MLB history to field a roster with four players that hit at least 30 home runs in a single season. Will look nice in a frame. it all looks great, roberto. reggie's got a great signature. @gcrl - I agree. Thanks.